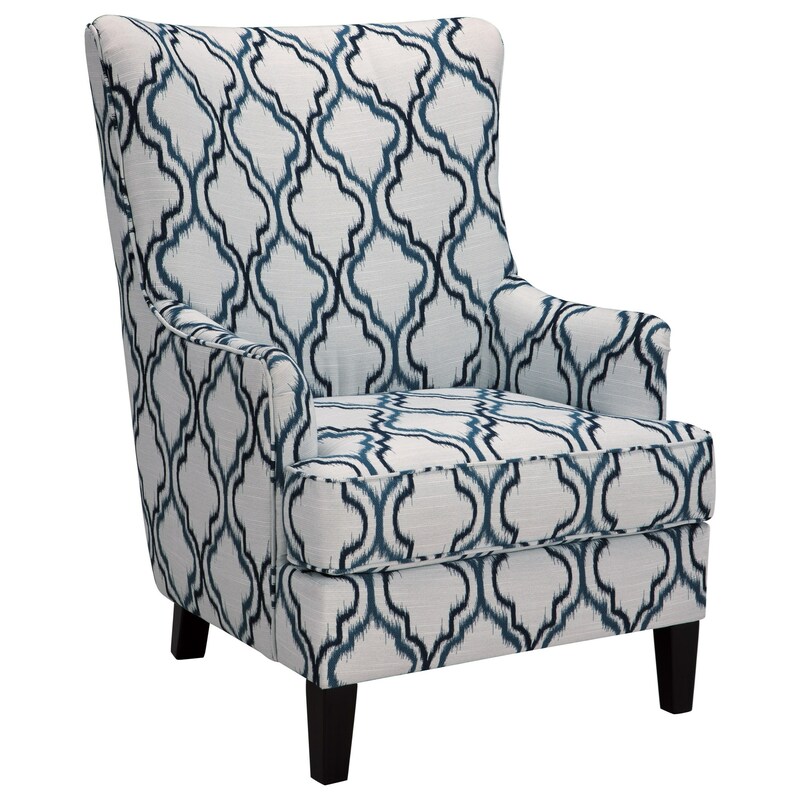 The tall, curved back of this accent chair offers a softer style of a classic wing back chair. With its trellis ikat fabric and tapered legs it offers stylish seating and sophisticated design to any living space. The LaVernia Transitional Wing Back Accent Chair by Benchcraft at Miskelly Furniture in the Jackson, Pearl, Madison, Ridgeland, Flowood Mississippi area. Product availability may vary. Contact us for the most current availability on this product. The LaVernia collection is a great option if you are looking for Transitional furniture in the Jackson, Pearl, Madison, Ridgeland, Flowood Mississippi area.